I am a bit reluctant to just post links to other people’s papers. However, this is an exception. Sarah Diefenbach made me aware of Mark Baskinger‘s statement “From industrial design to user experience” in the UXmagazine. Okay, you’re a designer, you’re expected to deliver something that is ergonomic and easy to use, and it has to be beautiful too. So, what will this thing do once you bring it into the world?” As you might guess, the students catch on quickly and respond with, “It should have some significance to the user and to enhance their lives in some way.” Eureka! In their minds they shift their thinking from making things to designing things that help facilitate actions, behaviors and experiences. Being an experience designer associated to an industrial design faculty myself, Mark expresses exactly what I feel. Worth reading. In his book Hertzian Tales, Anthony Dunne explored the idea of products as “material tales.” Each and every product, he argued, will inevitably change the way we act, think and feel in a given situation. Each product, thus, tells a different story and thereby suggests slightly (or more considerably) altered versions of reality. He uses this insight as the starting point for designing unfamiliar products, which primarily work as artistic commentaries on current social and technological practices – his exercises in “critical design”. Interestingly, Dunne noted that his products do not reveal their full power to change, exactly because they are treated rather as pieces of art than being actually used in the context they set out to reflect upon. The question, which intrigues me, is: Can we tell critical tales through everyday objects, using them to subtly comment and maybe even change current practices? Swantje Kraus recently provided an interesting example. Her diploma project was to design a new type of improved “bucket” for the grape harvest. Typically, grapes are picked by hand, gathered in a bucket, which is then emptied in a larger container. This bucket is clearly a tool; its design a tough exercise in practicality and classical ergonomics. However, Swantje added an interesting feature beyond obvious practicality: The bucket can be transformed into a seat. 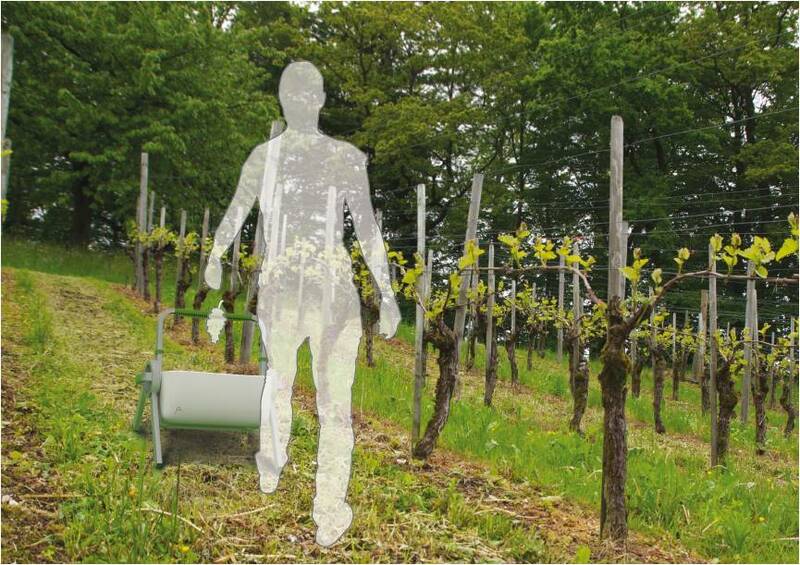 The vintager can take a rest from the physically demanding work. This seemingly small detail is interesting for several reasons. First, the bucket embeds both gathering grapes and taking a rest on an equal level. By this, it communicates that taking a rest is accepted – an integral part of the overall activity. Second, the bucket has to be empty to be transformed into the seat. This reflects upon the admittedly puritan ideal of “business before pleasure”, but functions as a clear signal for the “appropriate” moment to take a rest (after having picked a bucketful of grapes, 8-12kg, and having brought it to collecting point. In addition, Swantje’s design makes it impossible to work while resting. You either pick grapes or rest, but resting and still doing a little bit of work, such as cleaning or sorting grapes, is impossible. Both aspects imply a clear separation between work and rest, which is a psychological requirement for having a truly recreative break from work. 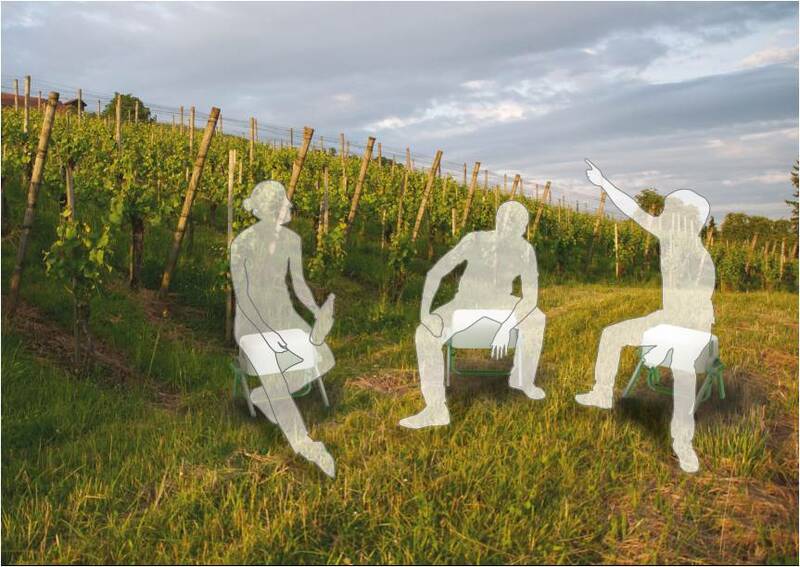 Third, the bucket also suggest a certain way of taking a rest, namely in the vineyard, contemplating and enjoying the views or having a chat with colleagues. Instead of avoiding the place of work it seeks to emphasize its good parts: being out in the nature with good company. All this details are actually a feature of the bucket. Alternative uses, according values, and particular experiences are embedded into the product and ultimately told through it – material tales under the disguise of mere practicality. Thank you for the warm welcome, intersting insights, good questions and delecious food go out to Gerhard, Susanne and Philipp from the Information Management Research Group at the University of Zürich. And the very same goes out to the attentive pack at Google. Thank you Mitch. Thursday, 17.06.2010, 17.15, I will talk at the IFI colloquium organized by the Department of Informatics, Univesity of Zürich. Guess … yes … about “Experience Design: From products to experience”. The colloqium’s web site charmingly anounces that “after the talks there is time for discussions and to exchange ideas while enjoying a glass of wine or a soft drink and munchies.” So meet me there, with my mouth full of brezels, in room 2.A.01 at the Department of Informatics (ifi), Binzmühlestrasse 14, 8050 Zürich. Getting older poses a lot of challenges. One is to cope with increasing social isolation – a lack of relatedness. But “loneliness” is not only a result of increasing health problems and according limitations in personal mobility. It is a natural consequence of an ever narrower circle of friends. The telephone takes a central role in mediating relatedness, but at the same time it introduces a host of problems due to its design. Kathrin Völker did an analysis of older people’s social situation and their use of the telephone. It is problematic for at least two reasons: First, it requires the conscious decision to call someone. Often older people refrain from calling, because they don’t want feel as a burden to their children and friends. No matter, how often the same children make sure that calling is never a problem – there is still this unpleasant feeling of pleading and loneliness exposed. On the other hand, children often postpone calls. The more they do, the harder it gets to actually call – guilt and accusations are not uncommon. Second, the telephone is build around the pattern of conversation. However, you need something to tell, to carry on a conversation and to make it interesting. The more isolated people are, the more difficult this gets. Kathrin developed, prototyped and designed a concept to open up this typical situation. It is a simple small beamer, camera and microphone attached to a lamp hanging over the dining table. Two “lamps” are connected via the internet and the connection is always on. This creates a channel between two places – with no need to give an explicit call. But more importantly, this channel is mainly visual and created on a table, which subtly steers interaction away from conversation to joint action. Joint action is an important way to feel close, which emphasize the mutual creation of new experiences, instead of the exchange of experiences made elsewhere. Kathrin tried it out. Just have a look at these two small movies of people drawing a picture together and grandchild and grandmother “touching” over the distance. And finally, Kathrin Völker’s complete thesis (in German).